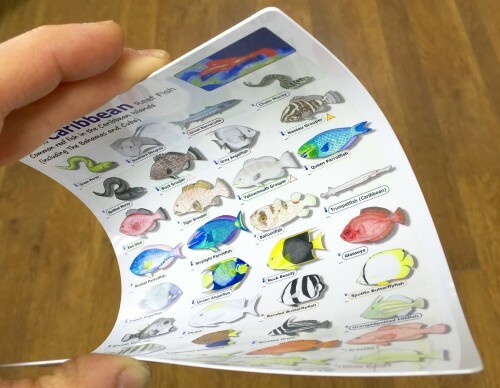 DiveLogs - Fish ID Cards. 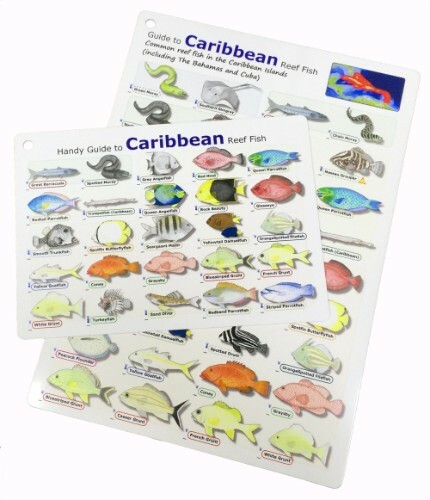 We have a large range of fish identification cards (also known as fish id slates). Great for snorkelling, or scuba diving fish encounters. Made from waterproof, tough and very flexible plastic. 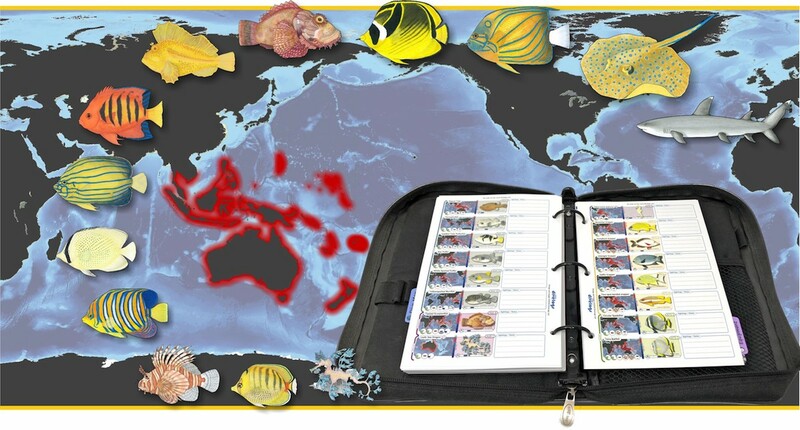 Each fish id card is printed with the most common species to be found in each dive area. 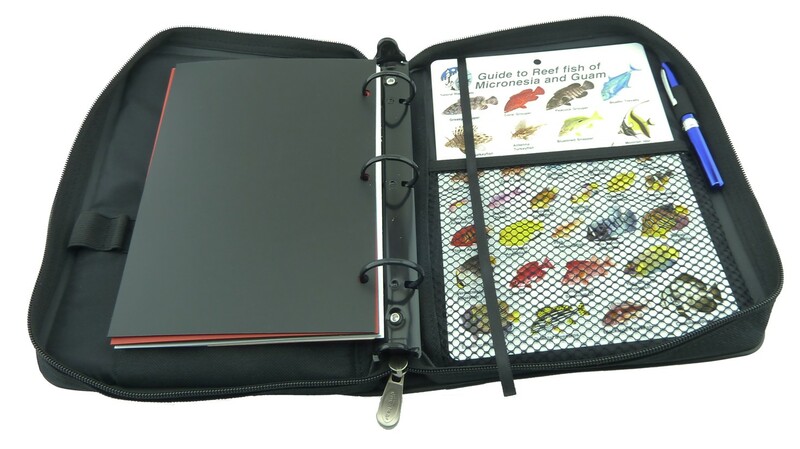 We have a large range of fish identification cards (also known as fish id slates). These are great for snorkelling on house reefs or during surface intervals between scuba dives on the boat. The fish cards are made from totally waterproof, tough, but flexible plastic - a lot better than paper laminated versions. 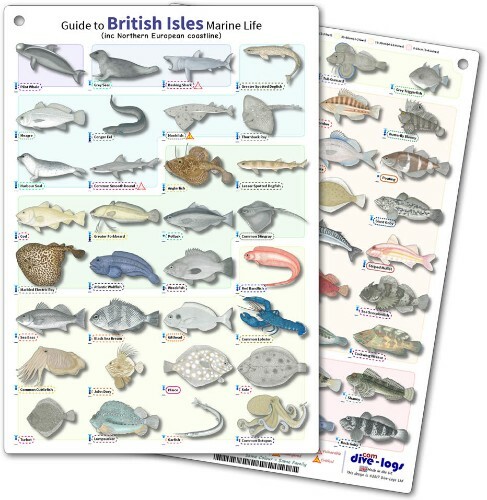 They are printed in full colour on both sides with a range of the most common fish and marine life encounters you should expect in each diving location around the world. Guide to British Fish - the coastal waters around the UK and Ireland as well as some of the Northern European coastline. Guide to Mediterranean Fish - the coastal waters around the Mediterraean Sea (France, Spain, Italy, Greece etc.) as well as the Islands (Malta, Cyprus, Balaerics etc.). 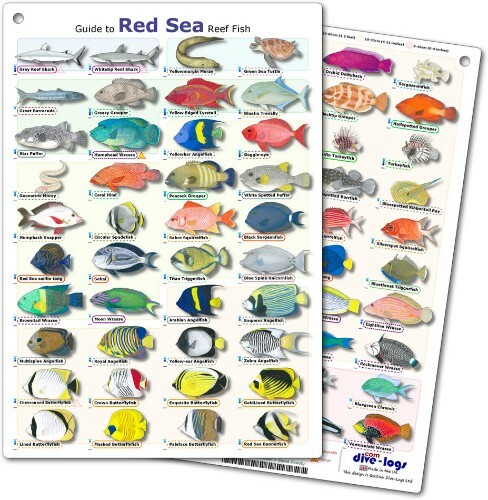 Guide to Reef Fish of the Red Sea - any of the common dive sites in Sharm El Sheikh, Hurghada, Liveaboards etc. A lot of the species are also relevant to the Gulf of Oman. 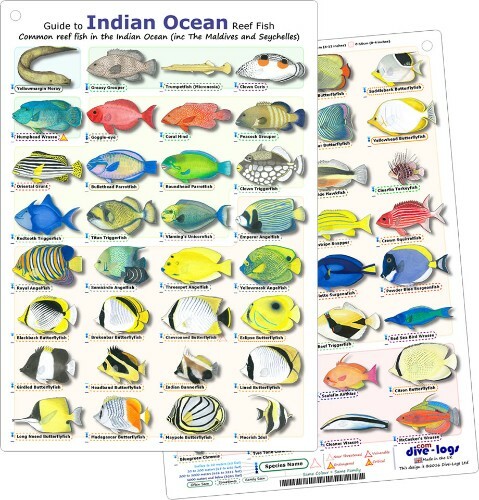 Guide to Reef Fish of the Indian Ocean - the west side of the Indian Ocean, so this would cover scuba diving in the Maldives, Seychelles, Madagascar, Mauritius, and Zanzibar etc. 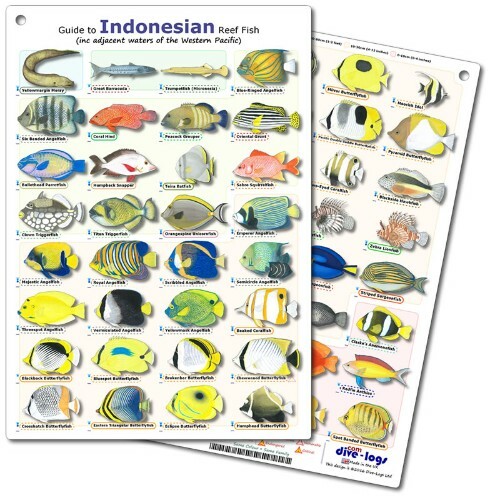 Guide to Reef Fish of Indonesia and Borneo - this really covers a large general area from Thailand down through the Indonesian Archipelago (including Phillipines and Borneo). 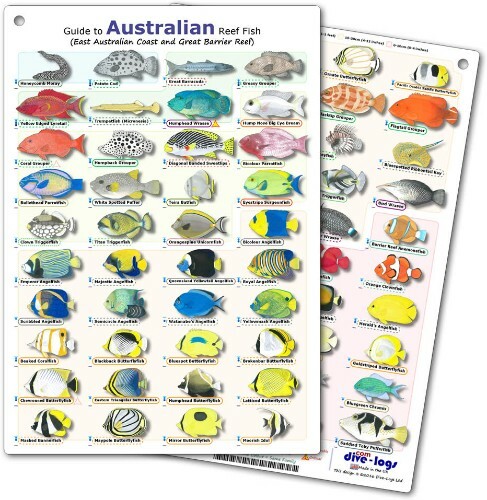 Guide to Reef Fish of Australia - this is focused on the East Australian Coastal area. The Great Barrier Reef and nearby Coral Sea. 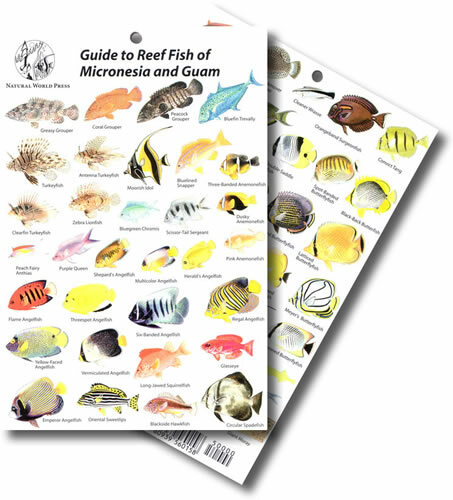 Guide to Reef Fish of Micronesia and Guam - deep inside the Pacific. The smaller islands in Micronesia and the US territories of Truk Lagoon, Palau and Guam. 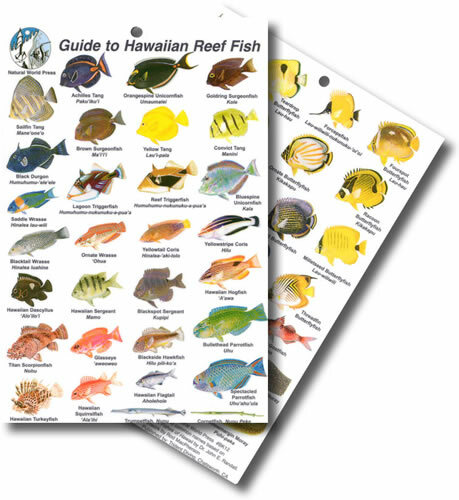 Guide to Hawaiian Reef Fish - a fish id card specialising in the Hawaii scuba diving location. Guide to Reef Fish of Florida - the main coastal diving areas including the keys. 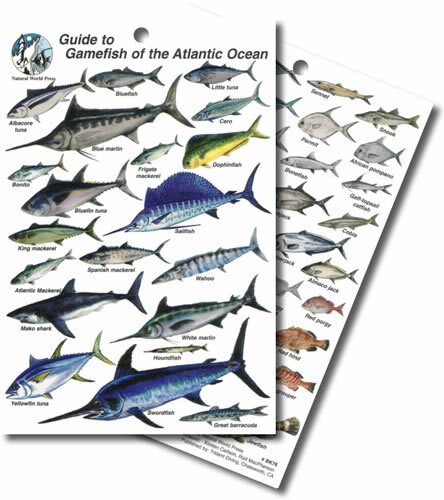 Guide to Reef Fish of Bahamas - a specialised fish id card for the Bahamas. 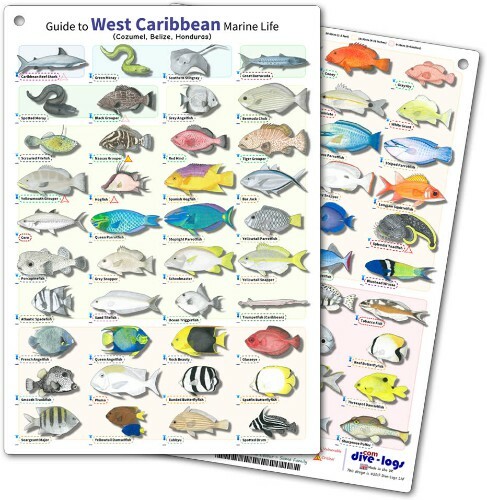 Guide to Reef Fish of the Cayman Islands - a specialised fish id card for the Caymans. 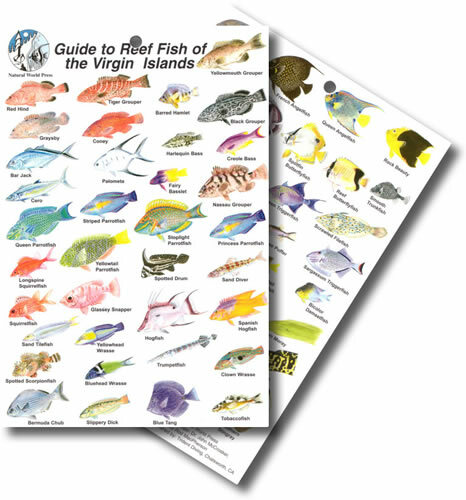 Guide to Reef Fish of the Virgin Islands - a specialised card for the British and US Virgin Islands. Guide to Reef Fish of Cozumel, Belize, and Honduras - the main coastal diving areas of the west Caribbean Sea and Central America. 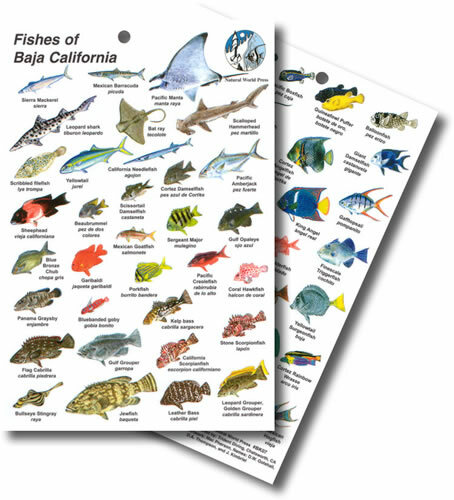 Guide to Reef Fish of Baja California - the main coastal diving areas around the Baja California peninsula. 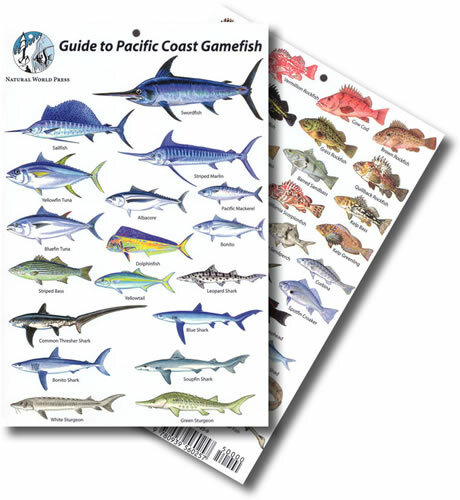 Guide to Atlantic and Pacific Game Fish cards - for deeper water diving or game fishing. Each card is punched with a hole for a wrist lanyard. They are approximately equivalent in size to an A5 sheet of paper (210mm high by 148mm wide) with a few being a little bit bigger than this. Some locations also have a mini handy version that is half the size and designed expressly to be kept in BCD pockets etc. We are currently introducing a new version of our fish id card designs that includes extended species information in a simple and quick to view layout. Such things as expected depth range, threatened status, and typical sizes are all now available in the new versions.